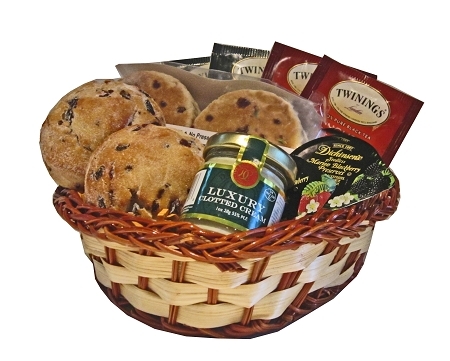 The Celtic Experience Gift Basket is one of a kind. 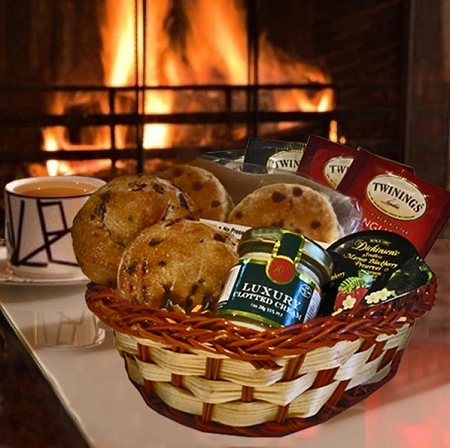 It includes a pack of 4 Welsh Cakes, a pair of Scones, a jar of Clotted Cream, an assortment of 4 Jams and an assortment of 4 Teas, all presented in a beautifully woven heart shaped gift basket. This unique gift is one you can be sure they will love to receive and always remember you for.